- It's winter in Arendelle! 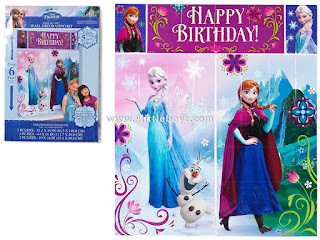 This fun Frozen party decorating kit features Elsa the Snow Queen, Princess Anna, and Olaf! - Also great as a background for taking pictures at the party!